The 2019 League of Legends pre-season is a few weeks behind us, and that means it’s everyone’s favorite time of year—balance season. With most of the major changes now live in the game, including last week’s overhaul of each, now the meta needs to mellow out. The Riot Games balance team is going full-on Elmer Fudd, and they’re huntin’ OP champions. Yasuo, Urgot, Karthus, and Lucian are first up at bat, according to a tweet from game designer Richard “RiotMapleNectar” Henkel. The tweet was just a simple table of each target champion for Patch 9.4 next week, and these four mega-OP champions took the spotlight in the nerf section. Yasuo, Karth, Urgot, and Lucian nerfs obviously take the spotlight for most-needed balance in 9.4, but keep an eye on that Azir buff. In the past, Azir buffs haven’t exactly gone well, especially in pro play. Lucian sticks out as the most important candidate here. He was already incredibly strong before the crit item update of 9.3, and he seems to almost be stronger now that it’s out. As one of the only marksmen who could excel without crit items pre-9.3, Riot wanted to hold off on nerfing him for the new items to ship in fear that the nerf would be overkill. Well, now that he’s still running the show post-update, he needs to be knocked down a peg or two. Yasuo is another interesting one, as he hasn’t historically been very strong, at least not over the last half-year or so. Riot’s reasoning behind nerfing him is sound, though, as revealed in a post on the official game forums today. 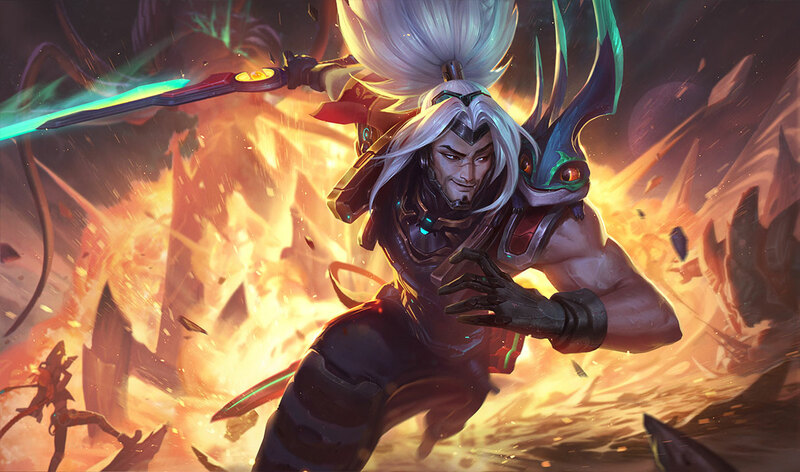 Yasuo was buffed last summer following the introduction of new bot lane items, including the reworked Infinity Edge. Since all of those item changes have essentially been reverted now, and a very strong option was added to Yasuo’s arsenal in the new Phantom Dancer, those buffs are no longer needed. So, according to that post, these nerfs will simply be reversals of the buffs from summer. Karthus and Urgot are no-brainers. Urgot and Aatrox have dominated the top lane meta since before Worlds, and Aatrox was already knee-capped in the last patch with massive nerfs. They were so massive that now he’s one of the worst performers in the entire game alongside Akali, who was also targeted last week. Urgot’s time might be numbered, because if they’re targeting him with nerfs for similar reasons, there’s a chance his nerfs will be just as extreme. Karthus has simply been a scourge on the jungle, requiring much less pathing and jungle knowledge to pull off and much less thought to successfully gank, so it makes sense that he’d be nerfed as well. We doubt his will be quite as severe, though. If these changes do actually make it through player testing on the PBE, they should arrive in the live game in about a week.